These Vegan Cranberry-Oat Cookies are made without any added sugar, sweetened with natural fruit only. 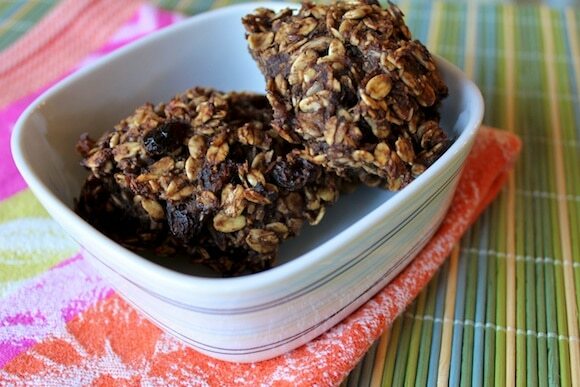 They’re the perfect healthy treat for kids or adults! 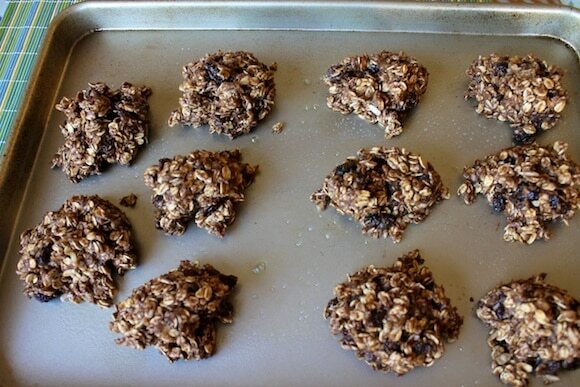 I call this recipe “cookies,” but they don’t have any added sugars except for ripe bananas and dried fruit. Does that still officially count as a cookie? I hope so! They are sweet enough to serve as a dessert or snack, but I also had them for a breakfast, too. They have almond butter and sunflower seeds which give them enough heft to be a treat or a meal. 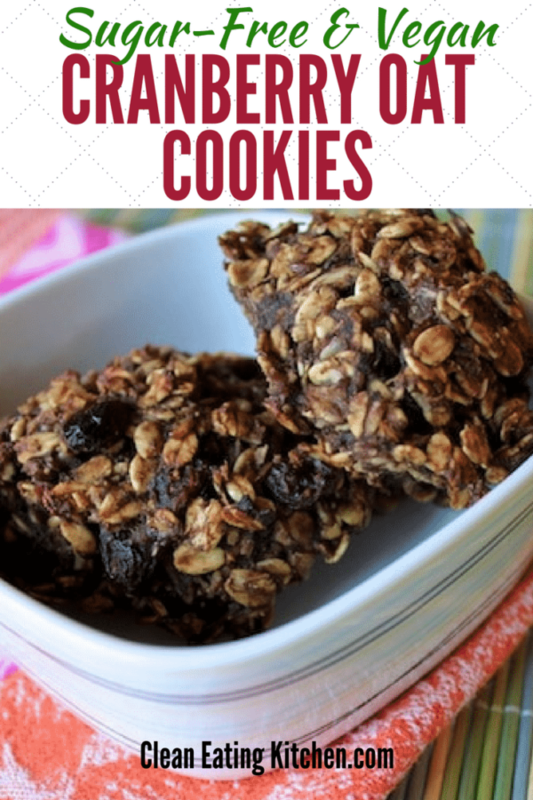 I’ve posted similar recipes before, so these fall between my Grab-n-Go Chocolate-Banana Oat Bars and my Banana-Sweetened Oatmeal Chocolate Chip Cookies, but there is no chocolate in these. Can I make these nut-free? Yes, absolutely! Just substitute sunflower seed butter for the almond butter. 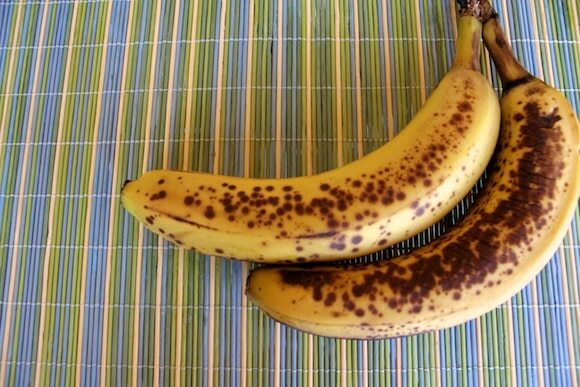 Do I need to store them in the fridge? Ideally, just to help keep them fresh. I would eat them within a week, but I doubt they will be around that long since they’re so good! Can I use cocoa powder instead of carob powder? Yes! 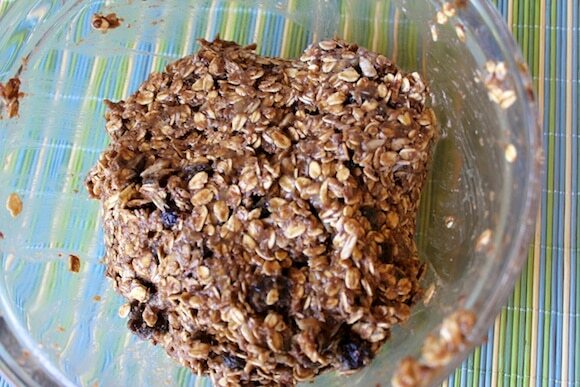 These Vegan & Sugar-Free Cranberry-Oat Cookies are a healthy treat for both kids and adults! Preheat oven to 350°F. Spray a baking sheet lightly with non-stick cooking spray. 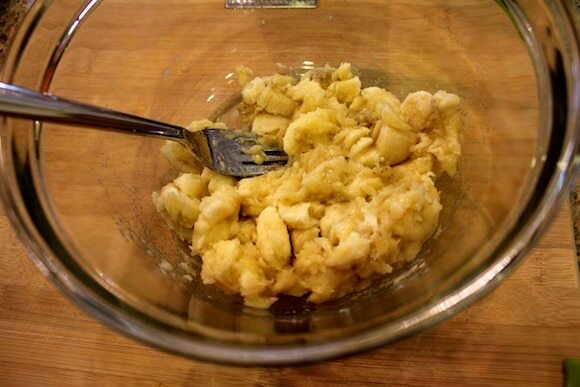 Place the ripe bananas in a medium bowl and mash using a fork. 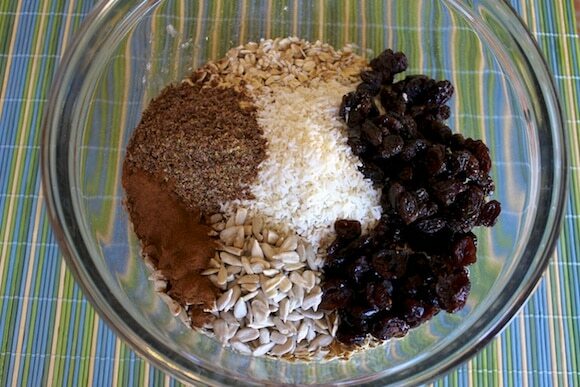 Add the oats, coconut, flax meal, sunflower seeds, dried cranberries, raisins, carob powder (optional), cinnamon, applesauce, and almond butter and stir to combine. Spoon the batter into 12-15 rounded cookie shapes onto the baking sheet. Bake for 20 minutes or until firm to the touch. Be careful not to burn. Be sure to pin this sugar-free cranberry oat cookie recipe to your favorite healthy Pinterest board! I found Tempeh at the HyVee. I almost didn’t as it was stacked without the name showing, but I happened to run into my vegan friend from work who had some in her cart!! She said our local grocery store back in town has it, too 🙂 I will be making your tempeh tacos this week. I also requested the book Eat To Live at the library, but am going to get it on my Nook when I go to Barnes and Noble as well. Hi Robyn! That’s great, let me know if you like the tempeh. It’s full of protein so it makes a wonderful addition to salads or soups. I just love the texture, I hope you do, too. And, of course, please let me know how you like Eat to Live. I found it to be accessible and compelling and, as you know, it’s changed my health and my life for the better. 1. Why/how does almond milk (at least Silk brand) have no fat? Are the fats from the nuts somehow extracted or filtered out during processing? Do you know if home-made almond milk have similar nutritional characteristics? 3. Do you know anything about powdered peanut butter (like PB2)? I just ordered some peanut flour (cheaper than name brand powder peanut butter), and supposedly you just mix it with water/a bit of salt to make a peanut butter-like spread. I think in order to get peanut flour they just remove the oils from the nuts. Do you know if this changes the nutritional value a lot, besides just removing fat? Meaning do you know if this process would remove a lot of the good nutrients from the nuts? Sorry for my lengthy questions, just thought you might have some good info about this. 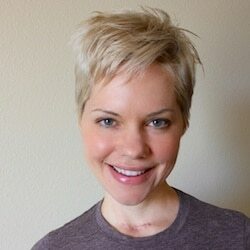 Hi Amanda! I love answering questions, so let’s see if I can help. 1. Wow, great question! I’m guessing that the packaged almond milk has less fat than whole almonds because it has been strained. So, the final product likely contains less almond than it does water. I don’t strain my almond milk after I blend it so the resulting milk would contain the same amount of fat as eating the whole almond. In fact, that’s exactly why I don’t strain mine because I want all the nutritional benefits of the whole food. 2. I would put whole (unfiltered) almond milk into the “nut” or “fat” category of foods. If you are using a packaged kind that has any added sugars, then I would put that in a dessert or discretionary category. 3. I am not familiar with powdered peanut butter but I did a little research on it and it sounds like it is basically a dried form of peanuts. I would read the ingredients label carefully of any product that you buy and make sure there is no added sugar or salt. Also, I would use the product sparingly because the peanuts have been roasted and there is the risk of acrylamides in roasted nuts. Crazy snow! I can’t believe that was only miles away from us! Hope you’re settled back in at home – warm and toasty! Thank you again for the AWESOME cookbooks – I already love them!!! It was so great seeing you again, too, Ginny! Hugs to you! This recipe looks great! Where do you find apple-juice sweetened dried cranberries? Is there a brand you’d recommend? Also, is it hard to find glueten-free oats? Just starting the ETL program and looking for a dessert idea. Thanks! 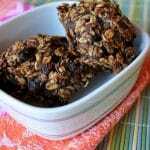 One of my all-time favorite healthy cookie recipes. My kids and I will surely love these cookies!